For publishing information and other inquiries, email Dave Evans or call him at 605-988-4486. 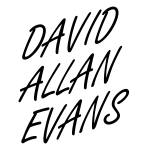 David Allan Evans‘ vision is virtually limitless. Born of the great expanse of South Dakota and touching locales as distant as Mexico, China and the Isle of Man, Evans’ expression of that vision is as subtle as it is encompassing. 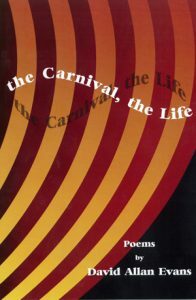 THE CARNIVAL, THE LIFE (Settlement House Books, 2013) is a meditation on a life well lived. Please click below to purchase. You can purchase other work by Evans here. Send inquiries to David Allan Evans by email, phone or mail.